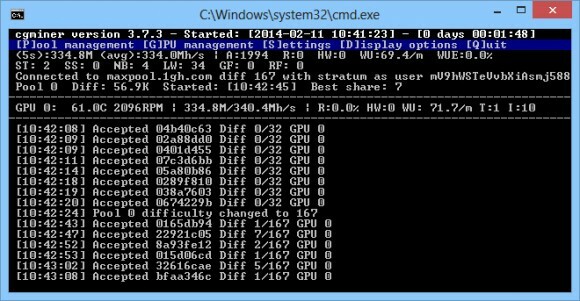 There is now an updated version of cgminer based on 3.7.2 (kalroth cgminer 3.7.3) with support for MaxCoin’s keccak (SHA-3) algorithm that is more stable and optimized than the previously available cgminer 3.6.6 with keccak support. So if you are still using the old version 3.6.6 of cgminer with keccak support, then you better update to the new cgminer 3.7.3 kalroth release for mining MaxCoins (MAX). 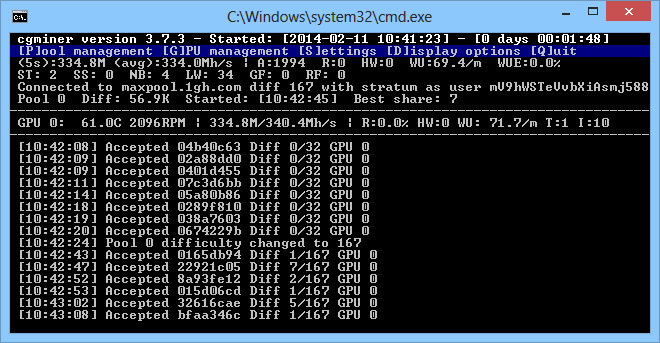 You can also build the miner yourself from source if you wish.